Sourced entirely from Western European milk! Pure Whey Isolate™ 90 is one of the most outstanding value Whey Protein Isolate's (WPI) in Europe – you won't find a WPI of comparable quality anywhere else at this great price. This supplement is an extremely high quality whey protein isolate powder, providing a huge 27g of whey protein per 30g serving (based on unflavoured). In addition, Pure Whey Isolate™ 90 is derived from grass fed cow's milk, has been instantised for ease of mixing and is available in a great range of fantastic tasting flavours. See the reviews for yourself! If you're looking at strictly controlling calorie intake and want only the highest quality protein available, then Pure Whey Isolate™ 90 is the product for you; it has less than 1g of fat and carbohydrate per serving – combined! Pure Whey Isolate™ 90 can be used as part of a healthy balanced lifestyle. Pure Whey Isolate™ 90 is then sprayed with fine lecithin particles creating a water-resistant effect on the surface of the whey protein particles, meaning no clumping… just easy mixing! The isolation processes used to produce this product involves only natural ingredients, providing a very high quality product with an excellent protein digestibility rating of 99.7%! In addition, Pure Whey Isolate™ 90 is derived from grass-fed cow’s milk which is free from hormones, antibiotics and genetic modification. Whey Protein derived from cow’s milk is said to yield a higher content of BCAA’s, boosting the overall nutritional content of the product. Pure Whey Isolate™ 90 is extremely useful for all who are active and are looking to increase protein content. 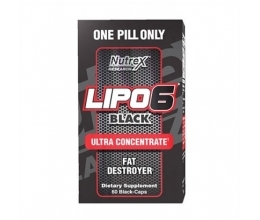 This supplement is also useful for those who are dieting due to its low carbohydrate and fat content. Pure Whey Isolate™ 90 is a high quality whey protein isolate, purchased from one of Europe’s best dairies, using grass-fed cow’s milk. 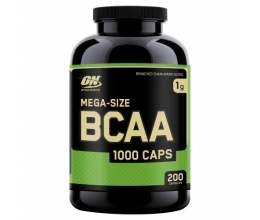 Containing an impressive 90% protein, this supplement is a rich source of protein and BCAA. Pure Whey Isolate™ 90 is available in a wide range of delicious flavours, from Chocolate Cookies to Peaches & Cream. This Isolate is the ideal protein supplement to help contribute to the growth and maintenance of muscle mass, whilst also remaining exceptionally low in carbohydrates, fat, lactose and cholesterol – making for a healthy, high quality protein source. The main differences between regular Whey Protein Concentrates and Whey Protein Isolates are the nutritional values and the processes the product goes through to bring about these differences. Whey Protein Isolate tends to have a higher protein content compared to Whey Protein Concentrates. Whey Protein Concentrates tend to have approx. 80% protein content, whereas Whey Protein Isolates contain 90% protein. With this increase in protein content, Whey Protein Isolate is also lower is carbohydrate, fat and lactose. Whey Protein Isolate is higher in protein and lower in carbohydrate and fat due to its increased production processes. Whereas, Whey Protein Isolates, such as Pure Whey Isolate 90 go through an advanced combination of cross-flow microfiltration AND ultrafiltration. This extra step helps to filter out carbohydrates and fat, making the protein more concentrated. This is a versatile product that can be used multiple times throughout the day; one of the best times to consume it is immediately after training. Pure Whey Isolate™ 90 is a rapid digesting protein source, which will help to promote recovery very quickly, contributing to the growth in muscle mass. 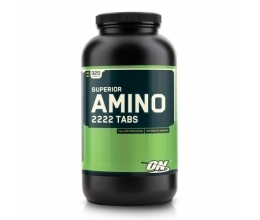 This supplement can also be used effectively pre-workout to help contribute to the retention of muscle mass. Finally, Pure Whey Isolate™ 90 can be used effectively throughout the day to help boost protein intake from a high quality ‘lean’ source. What goals can Pure Whey Isolate™ 90 help me achieve? Pure Whey Isolate™ 90 can be used effectively for multiple goals - reducing body fat, muscle growth or simply increasing dietary protein content. When you are looking to increase muscle growth, it is important to consume a high protein diet, approx. 2g/kg bodyweight – as Pure Whey Isolate™ 90 is very high in protein, this will help you to achieve a high protein intake, contributing to the growth in muscle mass. Pure Whey Isolate™ 90 can fit well into any diet. You can supplement with this product as a snack in between meals, or can simply be used in-between meals to boost your protein intake throughout the day. Undenatured Whey Protein Isolate 90% (Milk), Instantising Agent (Soya Lecithin 0.4%). Undenatured Whey Protein Isolate 90% (Milk), Cocoa Powder (Chocolate flavours only), Flavouring, Himalayan Pink Salt (Salted Caramel flavour only), Stabiliser (Xanthan Gum), Natural Colouring (Beta Carotene, Beetroot Red, Caramel or Grapeskin Extract), Sweetener (Sucralose), Instantising Agent (Soya Lecithin 0.4%). Pure Whey Isolate™ 90 is very fast-absorbing, so the optimal times to use it are immediately upon waking before breakfast, and immediately after exercise.